No two family law cases are alike — your case is as unique as you are. The solutions to your legal problems must be focused on the actual issues of concern that you have. You want to make sure that the choices that you make at this time are going to leave you in a positive position, and it can be overwhelming when there is so much happening at such a critical moment in your life. At Melinda Weerts Law, PLLC, our lawyers limit our practice solely to family law matters. We understand that your divorce or custody dispute means everything to you, and we are going to do whatever is necessary to help you get through this. Our founding attorney, Melinda Weerts, has more than two decades of experience handling family law cases for clients located throughout the Fargo area. Warm and welcoming, Ms. Weerts strives to ameliorate what can easily be a stressful situation. In family law, emotions can run high. Ms. Weerts has a simple philosophy: diffuse, determine, and diagnose: diffuse the anger and fear, determine the issue to be handled, diagnose the proper remedy. Considering herself a true “Counselor at Law,” Ms. Weerts works cooperatively with her clients, attempting to reach the best resolution for all parties involved. Endeavoring to fight for the best outcome for your children and you, Ms. Weerts conducts a professional, respectful practice. Whether in negotiations or in the courtroom, she maintains a candid, yet civil demeanor. A native North Dakotan, and graduate of the University of North Dakota, attorney Melinda Weerts began her legal career in 1996, after graduating from Cornell Law School. Her decision to focus on family law was a natural one — as someone who has been both a single parent and a married parent, she understands the complications and challenges that divorce can create for a family. Warm, and caring, Ms. Weerts advises her clients of their legal options, and then guides them to make good, sound, and lasting decisions for all involved. 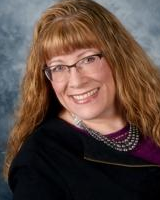 A steady and skilled lawyer, Ms. Weerts practices in the Fargo and Moorhead areas. For more information, click on the links below.